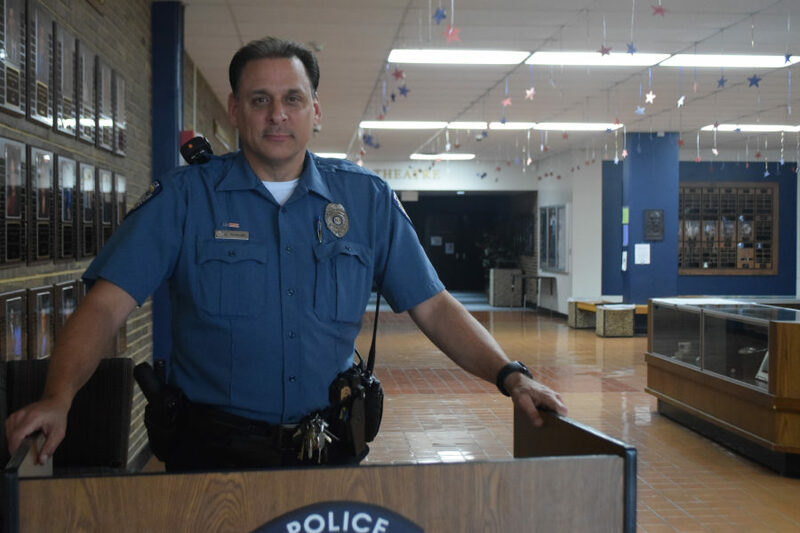 Standing at the building entrance, school resource officer Scott Scoggins works with local police and Parkway officials to keep the school safe. Scoggins worked with the district and administration to be sure that our school was safe today. A student threatened to open fire at Parkway West on March 1 via a Snapchat story around 10 p.m. last night. Within minutes, the post circulated to hundreds of students. In wake of the Parkland shooting on Feb. 14, which heightened awareness to gun safety, the news of this threat spread rapidly throughout the community. The post was reposted by several students as well as sent to many more. Students were quick to act on the situation, alerting parents and administrators. Police and security increased on campus today, but even with the threat neutralized, over 100 students were marked absent. Mitchell believes that this is the reality of our world today. Some students believe this is an opportunity to make a change and continue the discussion about our school’s safety.